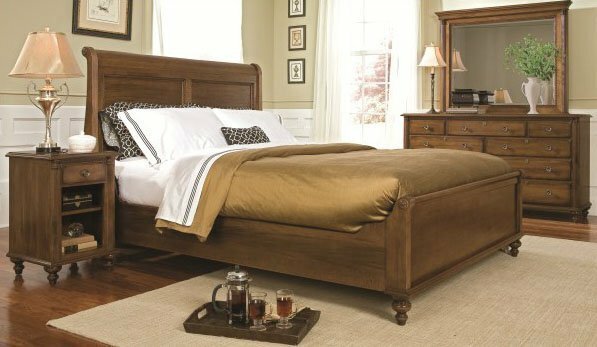 Durham Furniture has been making solid wood furniture of the highest quality and enduring value since 1899. Our proud legacy of quality, integrity and dependability places us among North America’s premier manufacturers of fine furniture. All of our furniture is made from sustainably harvested solid wood at our plant in the Town of Durham, Ontario, Canada. Durham (population 2,500) is nestled amid rolling hills, forests and farms, along the Saugeen River about 150 kilometres (93 miles) north of Toronto. Durham Furniture employs about 200 craftspeople who work in our century-old red-brick factory. We are a tightly knit family – spanning multiple generations – dedicated to making fine furniture in an environmentally sustainable and ethical way. Our products include traditional, transitional, contemporary and cottage styles, and are sold by fine furniture dealers across North America. Durham Furniture is featured in exclusive luxury hotels and in countless beautiful homes across Canada and the United States where it is passed down from one generation to the next.